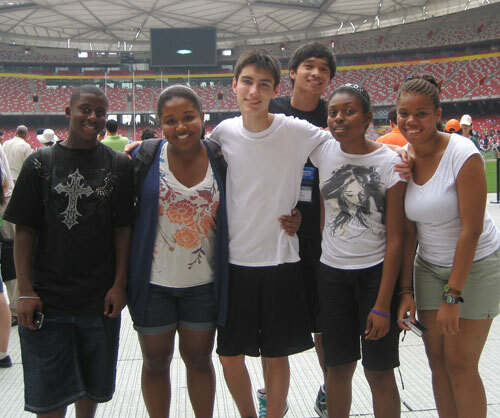 NSLI-Y students visit the Olympic stadium in Beijing, China. NSLI-Y students from Chicago Public Schools learn to wrap jiaozi (Chinese dumplings) at East China Normal University, Shanghai, China. 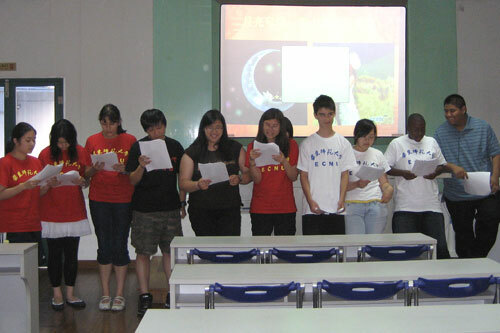 NSLI-Y students give a presentation on Chinese culture at East China Normal University, Shanghai, China. 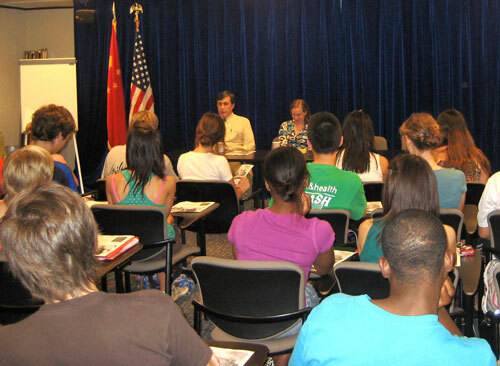 NSLI-Y students participate in a briefing at the U.S. Consulate General in Shanghai, China. 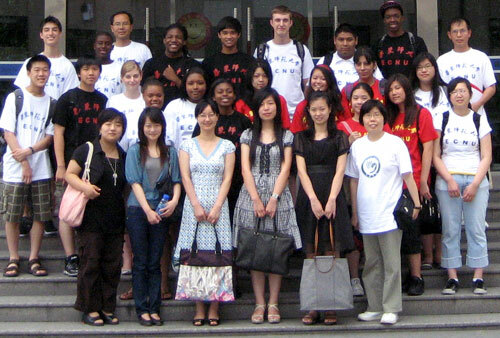 NSLI-Y students with their instructors on the campus of East China Normal University, Shanghai, China.